Take advantage of this rare offer for a long weekend in Sicily! 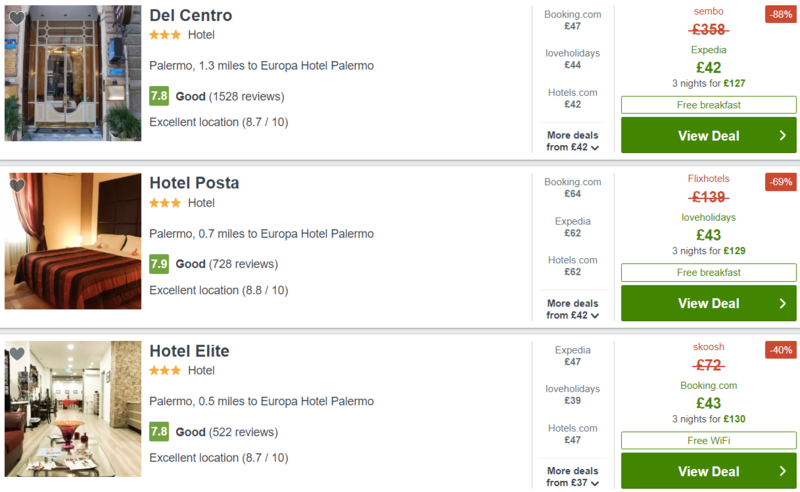 For just £98 per person, you get a return flight from London Stansted and accommodation with breakfast in a 3* hotel in Palermo! Previous articleBarbados from Manchester for just £400 return! Next articleFly to Mallorca from London and Manchester for just £20 return!